SOLD IN 6 DAYS! Welcome Home! Amber Road is an entertainer’s delight in the heart of Chino. 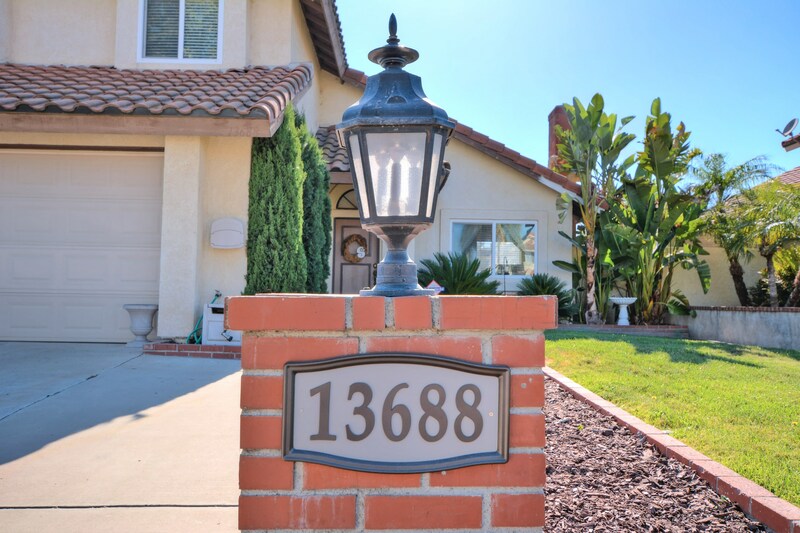 This beautiful family home has 3 bedrooms, 2.5 bathrooms and is truly turn-key! This home is PERFECT for those with an RV or a boat to store. Located at the end of a cul-de-sac this home boasts 30 feet of covered RV parking with ability to expand! The extended driveway makes it easy to host get-togethers. In the kitchen you will admire recessed lighting that highlights your newly installed granite countertops and backsplash that have been tastefully chosen to suit anyones taste. The upgraded kitchen sink and faucet are modern and enhance the kitchen features. Downstairs the powder room has undergone a remodel with a new sleek vanity, faucet and low flow toilet. Throughout the home you will enjoy upgraded windows, a new 5 ton AC unit with new duct work and a thermostat capable of Wi-fi operation. And to top it off the Sunroom adds additional space (not included in the total sq. ft.) to host guests or use it as a playroom, man cave, craft room, etc! The backyard awaits you with an outdoor eating area, dog run and spa. Minutes away from dining and shopping. Located in a PRIME SCHOOL DISTRICT, in the HIGHLY DESIRED Rhodes Elementary School boundaries, the only thing missing is YOU!